Hot off the reveal of the 3 Series-rivaling 2018 Genesis G70, the company’s CEO has boldly announced that Genesis has no interest in developing a high-performance sub-brand for its luxury cars like many of its rivals due to the imminent threat of electric car performance. As major automakers like BMW, Mercedes-Benz and Audi shift production towards an electrified future, Genesis is questioning the relevance of sub-brands like the M Division, Mercedes-AMG and Audi Sport. 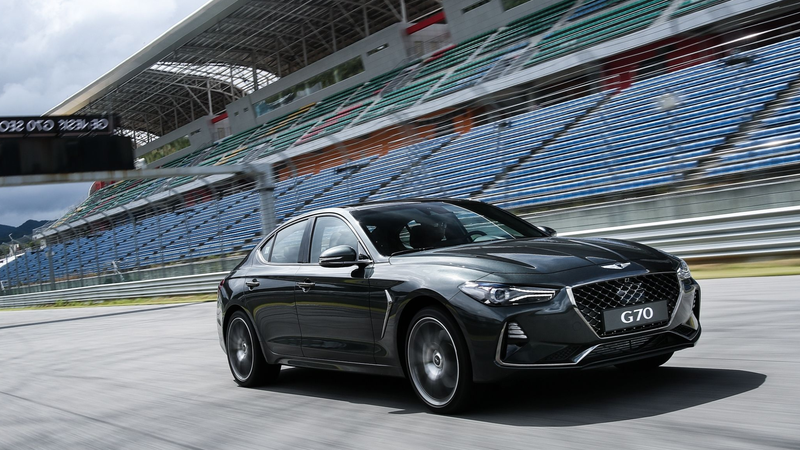 On Saturday of last week, Fitzgerald was present for the global unveiling of the G70 in Korea and had this to say in response to this question from motoring.com.au: will there be N Division variants of Genesis models moving forward? “I don’t think so right now,” he replied. “Performance will not be on the same forefront of differentiator as it is today for ICEs [internal combustion engines]. Everybody is capable of doing an electric motor and putting it in a car, so the performance values will almost be the same. Nobody’s going to be interested in ‘A’ or ‘B’, so I think that will come down to a level playing field. It’s likely that, as with the rest of the auto industry, Fitzgerald is wisely looking over Tesla’s shoulder. While Tesla offers higher-performance models of its vehicles, it clearly doesn’t see the potential or need to develop an entire sub-brand—Tesla just “unlocks” the full performance of its electric platform on higher-end trims. Fitzgerald is already anticipating that electric vehicle performance won’t be packaged the way current combustion engine vehicles are because, for the most part, electric motors are pretty much an all or nothing affair unless artificially limited. Artificially limiting EVs is already proving to be a controversial issue for Tesla. Instead, it’s more likely that performance EVs of our near future will focus more on weight reduction and other elements surrounding the powerful electric powertrains to differentiate models from each other, and from competitors. But much of the appeal of tuning brands like BMW M is the character, sound and motorsport heritage that goes with the brand. Electric vehicles just don’t have that iconic stature – and some would argue they can’t be a surrogate for a traditional prestige muscle car, just as an electric train for suburban commuting can’t hope to replace a steam locomotive hauling an inter-city express. Fitzgerald says he understands the nostalgic aspect. This seems like a fairly reasonable business decision, but I can’t help but wonder how Genesis plans on producing higher-performance versions of its current ICE-powered lineup. Of course it doesn’t need a sub-brand to do it, but here’s hoping it does it at all.